세계에서 가장 큰 성인용 인터넷 박람회로써, 참가 인원은 11,000 명 정도 이다. 어떤 회사에서 어떤 상품을 전시하며 또 전시회 참가방법등 여러 가지를 안내하고 있다. 매년 2차례에 걸쳐 행사가 열린다. $150 ( 11월 30일 이전에는 $125 ) 의 Ticket를 구입 하셔야 합니다. 이 Ticket 는 주체측 웹 사이트인 www.internext-expo.com에서 구입하시면 됩니다. 18세 이상이어야 이 전시회를 구경할 수 있다. 모두 12과목에 걸쳐 과목당 1~1시간 30분에 걸친 교육을 진행한다. 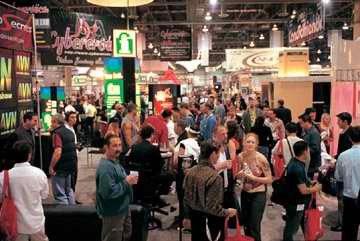 Internext (formerly ia2000) is the world's largest Adult Internet/Audiotext tradeshow. Widely acclaimed as "The Industry Networking Event," Internext is the place for individuals and companies who operate adult websites to form business-to-business alliances with other sites and / or service providers. 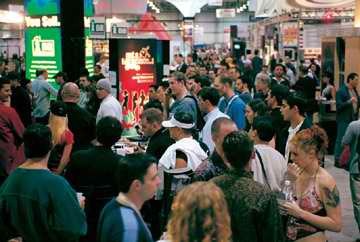 The atmosphere at Internext is unique in that it provides an unparalleled forum for non-stop networking and e-commerce both on the convention floor and after hours at the industry's most lavish parties. Adult content (both photo & video), Age Verification Systems, Content Protection, Web Hosting, Webmaster Affiliate Programs, Online Gaming, Online Shopping Networks, Customer Service, Audiotext Bureaus, Media Buying, Webmaster Resources, Internet Billing / Credit Card Processing & Online Checking, Web Design, Internet Law Firms, Video Streaming Technology / Services, Search Tools / Engines, Web Statistics, and Interactive Software to enhance the viewing experience for the end-user. 1. Experienced webmasters looking to strengthen existing B-2-B relationships. Internext gives them a chance to meet face to face with the people they already do business with as opposed to the Net-based communication they share the rest of the year. Internext also gives the webmaster an opportunity to see what new products, programs or services can help generate additional revenue for his/her website(s). 2. New webmasters who want to start up an adult website or transfer a "brick & mortar" business online. Internext serves as a "one-stop-shop" where aspiring webmasters can learn A-Z about getting started on the web in the seminars and then hit the convention floor to find everything they need to set up and fuel an adult business online: content, legal advice, billing services, web hosting, age verification systems, traffic programs and more. 3. Audiotext Vendors. In the early days of the World Wide Web, Internext (formerly ia2000) was primarily an Audiotext event. Although the 900 industry doesn't have as many players as in years past, the Audiotext companies that exhibit at Internext do tremendous business. 4. Mainstream technology firms looking to break into the adult market. Adult Internet commerce accounts for $1.5 billion in annual sales. For many mainstream companies, the numbers alone make doing business with adult attractive. Due to the adult industry's demand for bandwidth-gulping material, the current interest from mainstream is primarily in hosting and broadband content delivery.